Posts under tag "golf performance centre"
Golf Performance Centre, the premiere Golf learning facility in the Cambridge, Kitchener, Waterloo area offers its patrons the best in Professional Golf Lessons, Golf Club Fitting with the latest equipment from major manufacturers Adams, Callaway, Cleveland, Cobra, Nike, Mizuno, Ping, Taylor Made and Titleist. 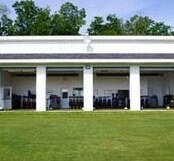 The Golf Performance Center is well equipped to maximize your potential. The centre uses their FlightScope golf launch monitor both as a training aid and a clubfitting tool.